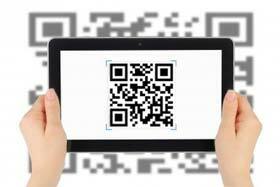 On this page we will show you how easy it is to create a QR Code in just a few steps. 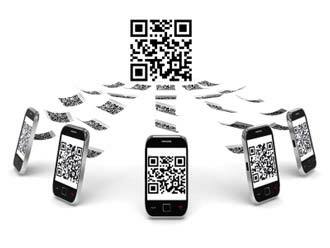 QR Codes are widely employed in the everyday life because of their many different uses. There are many application areas for QR Codes: as a mobile business card, for timetable information or as a navigation aid. Also in advertising QR Codes are used frequently, for calling up product videos or websites or linking to the App Store. 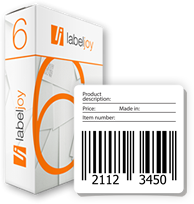 You can use Labeljoy to create barcodes and QR Codes. Just enter the URL of a website, an email address, text or any other data that you want to encode in a QR Code. To create your QR Code in a few seconds, go to a QR Code Generator page like Labeljoy, Kaywa, Qurify or Download the free Labeljoy QR Code Generator software to create QR Codes offline directly from your computer! Fill in all the fields. 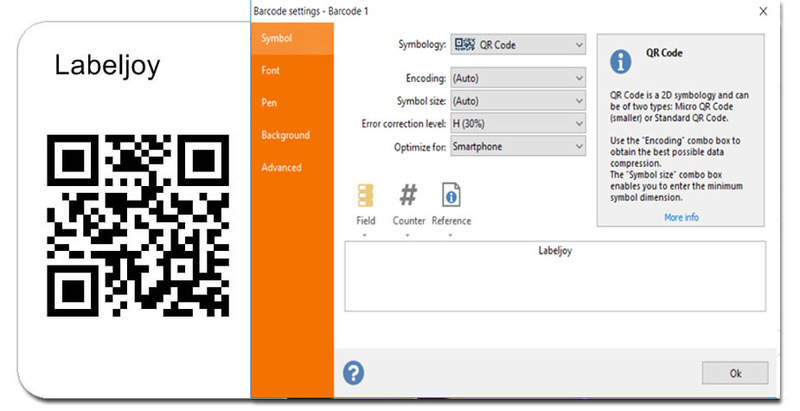 With the Labeljoy QR Code generator you can choose the error correction level, symbol size, margins, code color and background color. Create your own QR code!